Like many young and beginning farmers, Julie Weitekamp took a wandering path into farming. The first seed was planted in her parents' backyard garden, when Julie was growing up southeast in New Hampshire. She went on to study biology at Wheaton College in Illinois, land an internship at the Memphis Botanic Garden, and get a Master's degree in Biochemistry at the University of Rhode Island. But as a lab technician, she found herself increasingly drawn to her gardening. After attending a session of New Entry's Explore Farming workshop, Julie started working on a career shift. 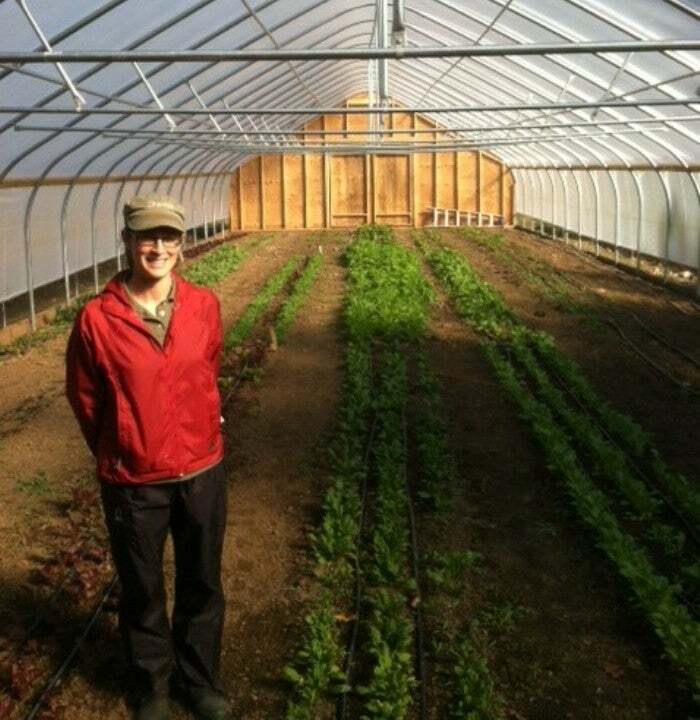 She graduated from New Entry's Farm Business Planning Course in 2008 and began growing vegetables on New Entry's incubator training farms in Dracut, Mass. Two years later, Julie rented an acre of land in Littleton, Mass., where she officially started Full Basket Farm. Since then, she was able to build a 26 x 84 ft high tunnel thanks to a grant from the USDA/NRCS Environmental Quality Incentives Program (EQIP), and she and her husband built their own walk-in cooler. The farm has certainly seen its share of challenges, and farming full-time is busy enough when you aren't also raising three kids. But for Julie, the hard work is all worthwhile. As she says: You have to love it.